NJ Diwali Fest 2018 is once again welcomes Desi Babies to the festival. Desi Babies uses fun and modern ways to introduce kids to India’s diverse culture and keep the traditions alive. 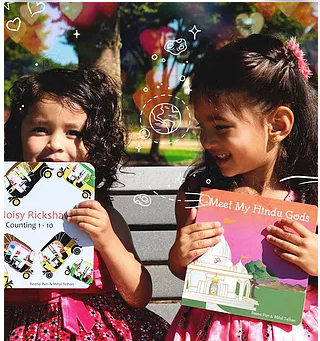 From books to stickers to coloring paper, Desi Babies helps kids develop a love and appreciation for India and Hinduism. Diwali Fest NJ is pleased to have a vendor like Desi Babies, with South Asian cultural offerings that are specifically for children. Learn more about the festival by looking at profiles of other vendors at Diwali Fest NJ 2018.